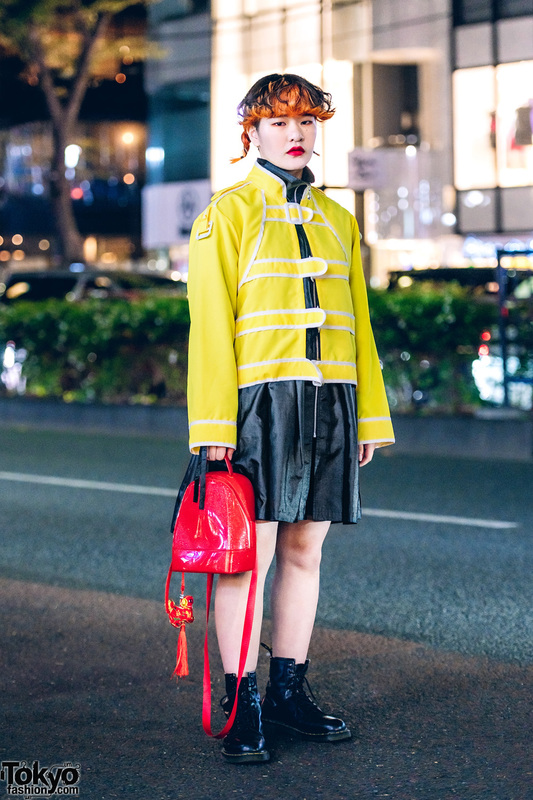 Japanese student wearing a yellow jacket, a black zip-up dress, and black boots in Harajuku. 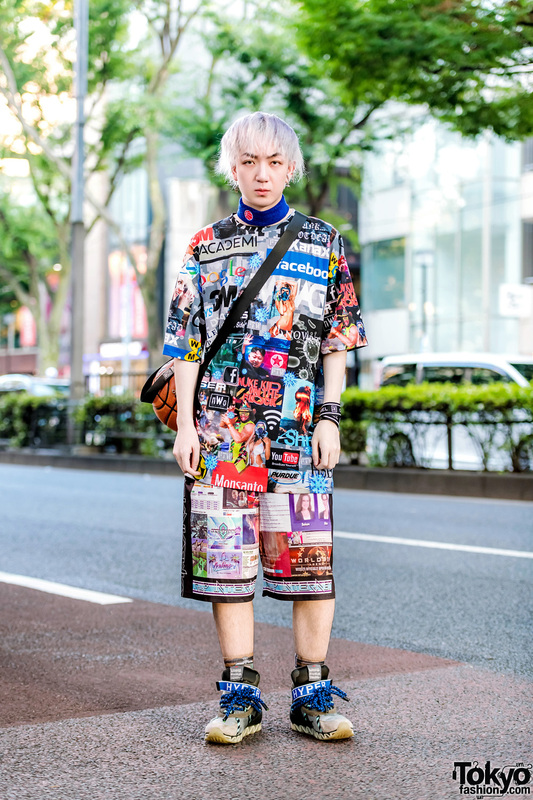 Silver-haired Tokyo guy wearing futuristic logo print streetwear while out in Harajuku. 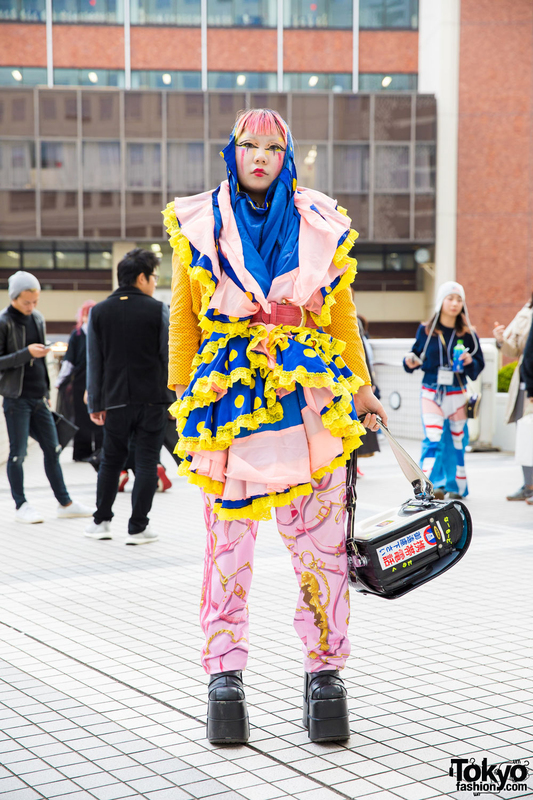 Japanese high school student wearing a colorful handmade and remake look with pink hair, extreme makeup, and a traditional Japanese children’s school backpack. 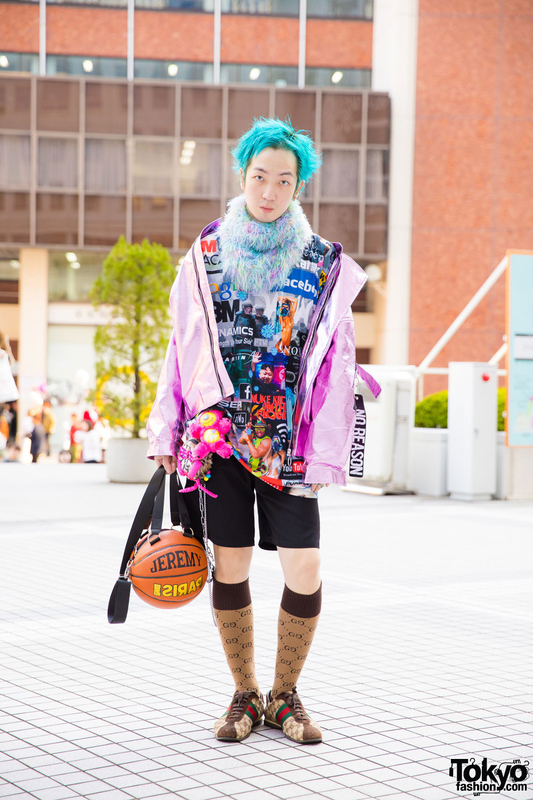 Harajuku aqua-haired guy in streetwear fashion with pink jacket over printed shirt, black shorts, long socks, sneakers and a basketball handbag. 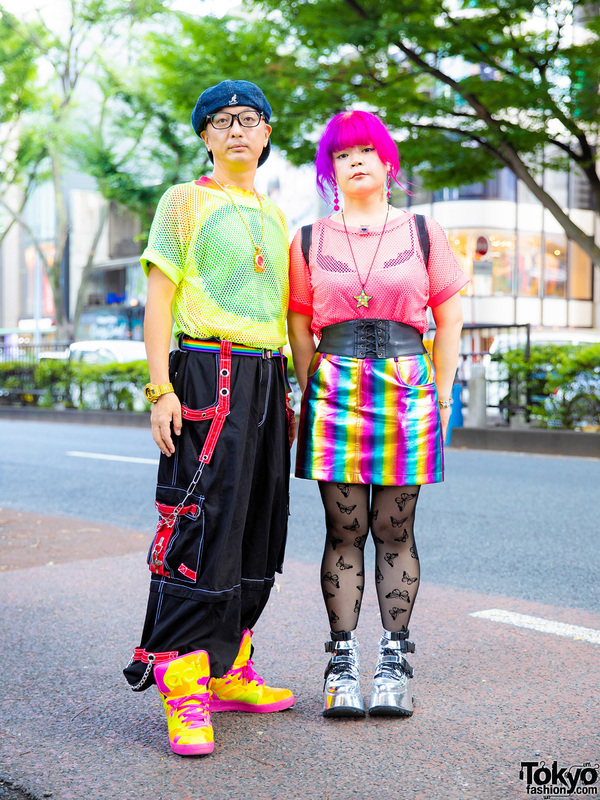 Harajuku duo in avant-garde streetwear styles while out and about one evening. 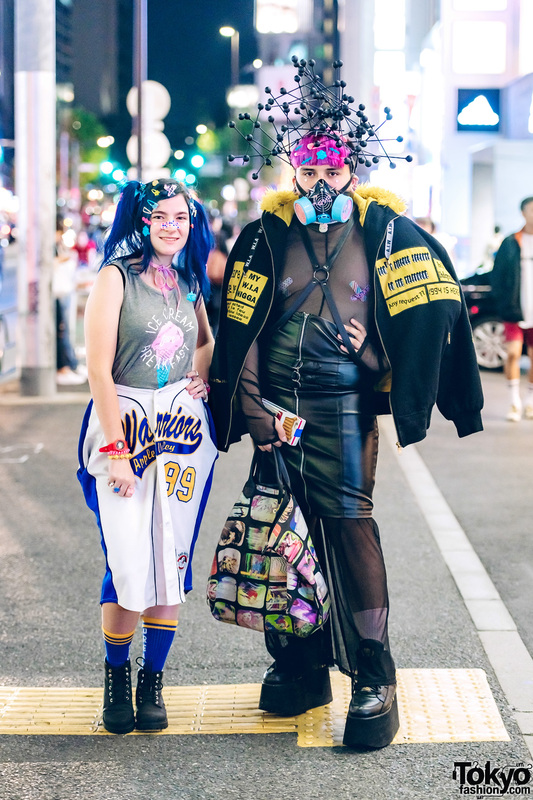 DIY Avant-Garde Street Fashion w/ Kotomi Yoshida x Amayas, Jeremy Scott, Syro & M.Y.O.B. 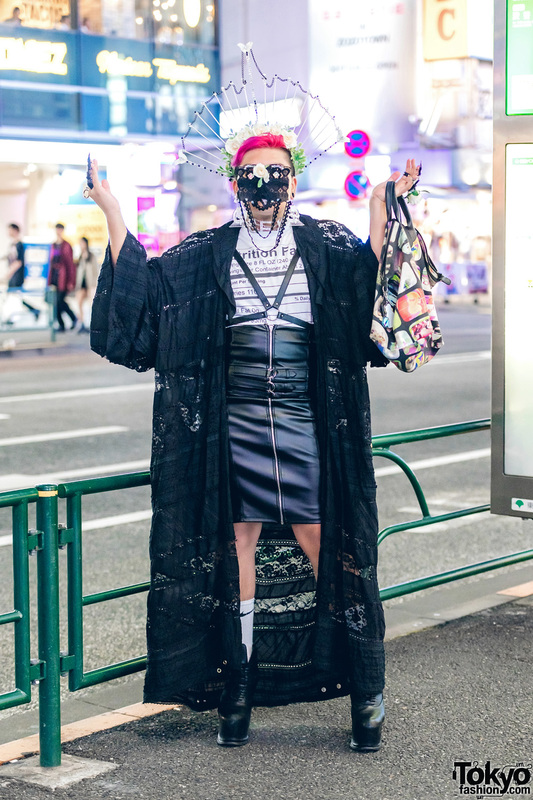 Edgy avant-garde street fashion with black lace kimono, platform boots, and DIY accessories.